CASSE speakers are available throughout the world for lecturing on economic growth, the steady state economy, and related topics. Speaking venues include college and university seminars and symposia, professional society conferences, NGO meetings, civic organization events, and government briefings. Please contact us if you would like to hear from one of our speakers or if you are interested in joining our speakers network. And please feel free to view our presentations and download them for your own use. Brian Czech is the founding president of CASSE, and signed on as executive director in 2018. Czech served as a conservation biologist in the headquarters of the U.S. Fish and Wildlife Service from 1999-2017 and as a visiting professor of natural resource economics in Virginia Tech’s National Capitol Region during that period. He is the author of several books including Supply Shock, Shoveling Fuel for a Runaway Train, and The Endangered Species Act, as well as over 50 academic journal articles. Czech is a frequent speaker, commentator, and regular contributor in the blogosphere. He is available for keynote talks, public debates, and special events on limits to growth and the need for a steady state economy. He has a B.S. from the University of Wisconsin, an M.S. from the University of Washington, and a Ph.D. from the University of Arizona. Contact Czech via email. All speakers in alphabetical order by last name. For the last 12 years Blake has intensively studied ecological economics, natural-resource policy and the steady-state economy. This yielded 9 academic articles, one quite long book chapter and 2 journalistic articles, most of which are accessible on his personal website. In 2005-2006 he earned an MPhil in environmental policy from Cambridge University and in 2013 earned a Ph.D. by Publications from the University of East Anglia, Norwich. He has done sporadic guest-lecturing at the University of Edinburgh and the Zürich University of Applied Sciences. His B.A. is in philosophy (1968, from Wesleyan University in Connecticut). He spent the years 1971-2000 as a self-employed cabinetmaker in Zürich, and took part in about 20 Greenpeace actions. His hobbies are tennis, a capella singing and evolutionary psychology. View his personal website. Fola is a Ph.D. candidate in forest economics at the University of Ibadan, Nigeria. He has completed numerous projects that combine ecological and economic expertise, including a cost-benefit analysis of seedling production, design of incentives in the agroforestry industry, development of forest policy, and socioeconomic valuation of non-timber forest products. Fola has received a number of scholarships, fellowships and research grants. His publications have appeared in scientific journals, proceedings, and technical reports. His current focus is on sustainable management and conservation of forest biodiversity in the face of economic growth. Oliver has worked in the non-life insurance industry since graduating with a degree in Chemistry in 1989. He is a fellow of the Chartered Insurance Institute and the Institute and Faculty of Actuaries. He has had a variety of roles, including claims handling, underwriting and reinsurance consulting. Since 2001 he has worked as an insurance actuary, and since 2006 he has worked as a pricing actuary, pricing large single risks. Oliver believes that in a finite world with environmental and energy constraints, economic growth is not compatible with sustainability or stability. For rich nations, the primary economic goal should be stability. Devashis has a Ph.D. in Environmental Economics from Dibrugarh University, and has been teaching economics in provincial colleges under the government of Assam in India for a number of years. He conducts research in environmental economics and management pertaining to the oil industry and regularly presents papers at state, regional, national and international conferences. He has also published many articles pertaining to economic and environmental issues in journals and newspapers. Devashis is committed to eradication of poverty, sustainable development, and social and economic justice. After obtaining a degree in physics and mathematics from the University of Manitoba, Robert taught at a rural secondary school in Zambia for two years. His experience in Africa has had a profound impact on his worldview with respect to development and social justice. Robert returned to Canada to obtain an engineering degree and now has more than 30 years experience in commissioning, design, operation and transmission of large electric power systems, including assessment of wind integration into electric grids. Influenced by E. F. Schumacher and Herman Daly, among others, Robert considers the concepts in ecological economics and steady state economy essential to a sustainable, just future. Robert lives in Winnipeg, Manitoba, Canada. Brian Czech is the founding president of CASSE, and signed on as executive director in 2018. Czech served as a conservation biologist in the headquarters of the U.S. Fish and Wildlife Service from 1999-2017 and as a visiting professor of natural resource economics in Virginia Tech’s National Capitol Region during most of that period. He is the author of several books including Supply Shock, Shoveling Fuel for a Runaway Train, and The Endangered Species Act, as well as over 50 academic journal articles. Czech is a frequent speaker, commentator, and regular contributor in the blogosphere. He has a B.S. from the University of Wisconsin, an M.S. from the University of Washington, and a Ph.D. from the University of Arizona. Czech is a hunter, fisherman, vegetable grower and general hand. Contact Czech via email. Neil is a registered professional biologist who lives on Vancouver Island in British Columbia. He retired from the Canadian Wildlife Service in 2006 after 31 years, during which time he managed National Wildlife Areas and Migratory Bird Sanctuaries and worked to protect migratory birds and their habitat. His current professional efforts focus on the preservation of global biodiversity by addressing the limiting factor of biodiversity conservation on the Earth today: economic growth. He regularly delivers presentations and writes newspaper columns on this topic. View his personal website. Claudio has a background in economics, geography, and environmental studies, and has been working for the last 15 years in rural areas in Southeast Asia (Thailand, Laos, Vietnam) and China. He is interested in particular in people’s livelihoods, and the conflicts that emerge around the resources people depend on, and are denied by more powerful groups (for example through land grabbing for plantations or mining, or zoning for national park) and how this is presented as ‘economic development.’ Through his work, he has become interested in the economics, social, and environmental failures of the growth economy. Martin has a Ph.D. in stream ecology from Oregon State University. He is the co-founder of a conservation NGO and the current president of the European Section of the Society for Conservation Biology. Martin has delivered many lectures integrating ecology, economics and ethics in order to develop pathways for economic development that encompass long-term conservation interests. He works with farmers on the integration of land use and nature conservation, and consistently favors practical approaches to conservation and sustainability. Josh has a Ph.D. in agricultural,resource and managerial economics from Cornell University. 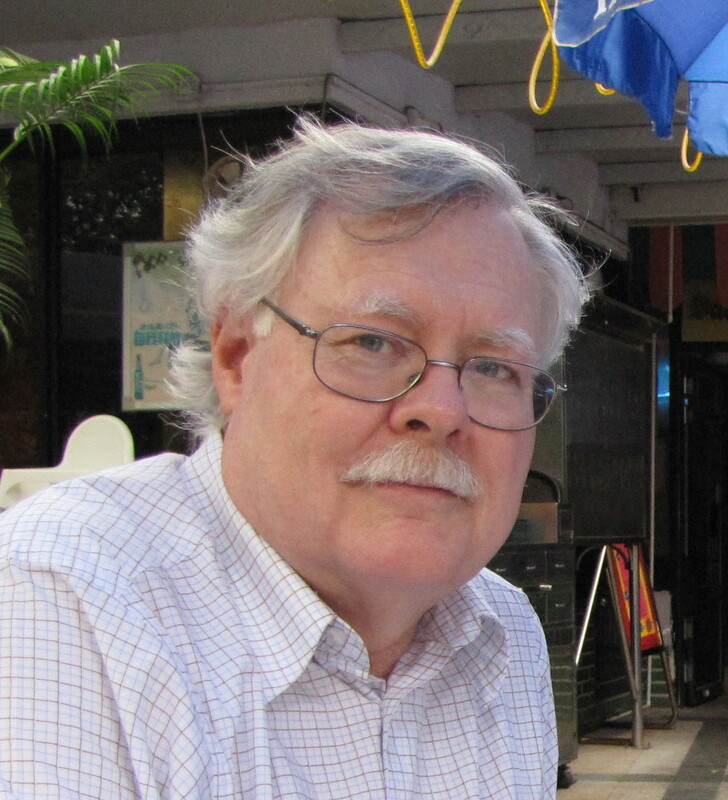 His research interests include mechanisms for allocating resources under local control and national sovereignty that generate global public goods, developing transdisciplinary case study approaches to environmental problem solving as an educational tool, ecological restoration of rainforest ecosystems, economic globalization, ecosystem valuation, watershed management, and international development. With Herman Daly, Josh cowrote Ecological Economics, a transdisciplinary text book. View his personal website. After many years as a full-time activist and part-time media consultant, Darryl completed a bachelor of communications at the University of the Sunshine Coast. He combines his knowledge of communications with his passion for environmental protection to develop effective activism campaigns. 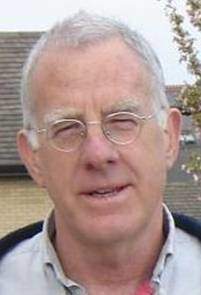 While campaigning on environmental issues, Darryl also dabbled in national politics, publishing work in The Australian during the waterfront strike in 1998. He also published regular articles in the local papers and joined The Sunshine Coast Environment Council (SCEC) management committee as a project officer to coordinate campaigns through all media outlets. Darryl also served as president of SCEC and directed most public communications. Mike has been a sustainability, climate change and population activist for over twenty-five years. He has served as a climate action coordinator, has been co-chair of the New England Coalition for Sustainable Population and chair of Zero Population Growth of Greater Boston. He has also served as a Director on the National Board of Zero Population Growth (now Population Connection). He currently serves as a Director of GrowthBusters.org. Mike may be best known for his belief that true sustainability should be a major goal of all environment organizations – and that working to obtain organizational endorsements of the CASSE position is a powerful action. He has authored a number of articles on the relationships between population growth, consumption and environment including “OverPopulation and OverConsumption: Where should we focus” published by Negative Population Growth. Falk received his Ph.D. from the University of New Brunswick where he studied GIS and pelagic seabird distributions in the Atlantic and Arctic. 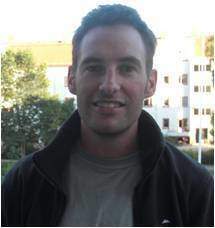 He directs a variety of wildlife and habitat research projects in the EWHALE lab at the Institute of Arctic Biology. 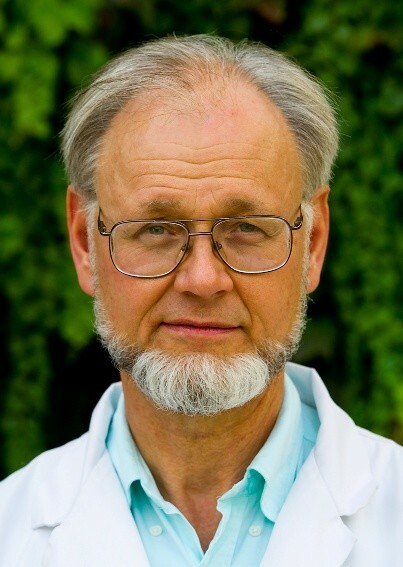 Falk has received several international research awards and is currently part of the NCEAS Alternative Modeling Methods Working Group in St. Barbara, California. Besides modeling, some of his research deals with tropical ecology and the Russian Far East. 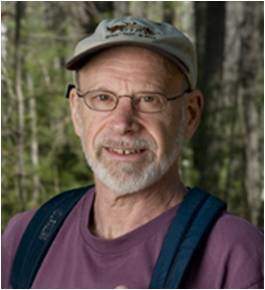 His research on the ecology of big landscapes and seascapes has driven home the connections between economic and ecological systems. 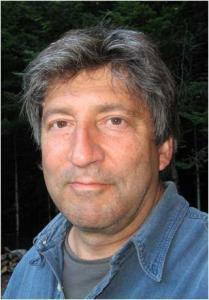 He has delivered many presentations on the effects of human economic activities on natural systems. View his personal website. Jay has a broad academic background, with diverse research and work experience. He has served as a Senior Research Geobotanist, conducting oil and gas exploration (ARCO), a Naturalist/Interpreter (National Park Service), a Remote Sensing Consultant (NASA/Lockheed), and an Archaeobotanist (Galilee – Sepphoris Acropolis Excavations). As Professor of Biology and Biochemistry, Jay has taught a very broad range of courses including versions of an interdisciplinary course entitled: Toward a Sustainable Planet. Many of these courses have field components in which faculty and students see first-hand, the global impact of the human species. His current focus is on finding transdisciplinary paths toward sustainability. View his personal website. 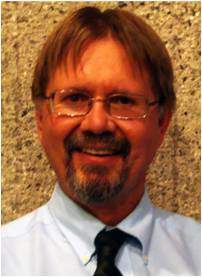 Rob has directed complex multi-million dollar engineering projects and served as director of a Land Trust, ballona.org. He has co-created several NGOs, including The Love Company, and ActaVista, an ‘envisioneering’ center for social and environmental change agents. As a creative documentary film-maker he has produced educational, documentary, travel, sports, technical, musical, and inspirational media. Rob has collaborated in large community events, fundraising events, founded and served with successful non-profit enterprises, and consulted with NGOs in the areas of strategic planning and capacity development. As a community educator, he facilitates “Sustainability talks,” and teaches communities about and loves to dialogue about sustainable solutions for a world in transition. He has presented to students, private investors, professional associations, and at public gatherings. Currently, Rob is the Executive Director of the Hawaii Interfaith Power and Light (hipl.org) and is pursuing a masters in sustainable development. James is the Executive Director of RISE Urban Incubator, Inc. – a social enterprise that promotes, tests, and mainstreams innovations for resilience – and an instructor of Political Studies and Ecological Economics with Canadian Mennonite University. He also sits on the boards of two community-based environmental organizations: Manitoba’s Green Action Centre and Transition Winnipeg. Previously, he worked in the financial industry, in policy positions with lawmakers, and in the communications industry as an editor. James promotes the transition to a steady-state economy through financial reform, low-impact living, and the use of entrepreneurship to ignite change. He has an MPhil in Economics from Cambridge University, where he authored a thesis on the growth dynamics imposed by the global banking system. Contact James via email. Seth is a student of public affairs at the University of Washington’s Evans School. He grew up in rural southeastern Ohio in a typical post-industrial, post-agricultural city. Prior to pursuing an MPA he worked in the financial industry, primarily managing private sector retirement plans, where he also studied transformational leadership and organizational behavior at the graduate level. Seth holds an undergraduate degree in history from Muskingum College. He co-founded the University of Maryland Chapter of CASSE in College Park, MD in 2010. Seth’s research interests include evidence-based efforts to adapt human settlements to manage environmental, ecological and natural resources effectively. Guy received a Ph.D. in range science from Texas Tech University. He began his career as a terrestrial plant ecologist, but his interests have evolved to include the development and creative application of ecological theory within the context of biological conservation. His research, teaching, and outreach efforts articulate the links between (1) environmental protection, social justice, and the human economy and (2) science and its application. View his personal website. Geoff is a Councillor and former CEO of the Australian Conservation Foundation (ACF). He is an active member of the World Commission on Protected Areas and previously served as a member of the IUCN Council. He has been working as a volunteer to educate fellow citizens on the means to achieve a sustainable society. 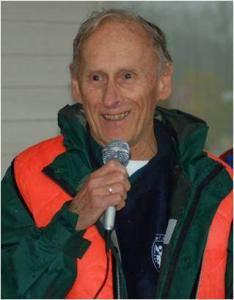 George has been a volunteer environmental and social justice activist for two decades. He is the founder or cofounder of several environmental organizations in Vermont and currently devotes the majority of his time to what he feels is the primary cause of our environmental problems, population growth. He has developed a presentation titled, “Better not Bigger” that covers changing GDP to GNH (gross national happiness), changing the growth/military economy to a steady state/peace economy, stabilization of population, and living sustainably. He is shown speaking at a 350.org event that he organized. You can reach George directly via email. Heather has a Ph.D. in integrative biology from the University of California, Berkeley and a M.S. in plant ecology from the University of Connecticut. As a plant community ecologist, her research interests include the plant-soil-microbial ecology of exotic species invasions, native plant restoration, and sustainable agriculture and she teaches service-learning courses that engage students at the interface of science and society. She is co-editor of a book from Indiana Press on environmental literacy. Heather served nine years on the City of Bloomington Environmental Commission, and continues to promote awareness of steady state economics, ecosystem services, and other dimensions of sustainability through teaching and volunteer outreach. Robby holds a Ph.D. in agricultural and resource economics. His teaching, research, and outreach program focuses broadly on natural resource-based tourism and sustainable development. His research interests include the economic effects of climate change, the economic benefits of wilderness protection, and the relationship between tourism and poverty in developing countries. Robby has also completed several studies of the economic benefits of wilderness areas in the western USA, including the values of recreational uses and ecosystem services. View his personal website. Chris has a Ph.D. in political science from the State University of New York at Albany. His research interests cleave in two distinct directions. He studies contemporary political theory as a series of responses to political trauma (genocide, war, the Holocaust) and ecological catastrophe. His second area of scholarly interest is the politics of sustainable development, where he is formulating a position called “Political Ecology” that considers the larger political effects of acknowledging the illogic of limitless economic growth on a planet of limited natural resources. View his personal website. 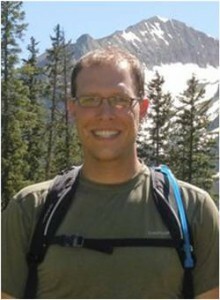 Jon holds a Ph.D. in conservation biology from the University of Minnesota. His courses and research focus on international environmental policy. Prior to his work in conservation biology and environmental policy, he was an economics instructor at Brown Institute and Anoka-Ramsey Community College in Minnesota. Jon has also worked as a ski instructor, chauffeur, and laborer in a salmon canning factory in Alaska. He was born in Ecuador to American parents and lived in Mexico until age 13. His research interests include political economy, science policy, climate change, indigenous knowledge, limits to growth, old-growth forests, reforestation, and equity issues related to environmental affairs. View his personal website. Marco has an eclectic background. Apart from being a professional economist, he has been involved in cinema, was a magazine editor and is a fiction writer. He has worked in the private sector, in the Ministry of Finance (Mexico) and has taught several courses at the Universidad Nacional Autónoma de México. He received a BA in Economics from this university, an MSc in Ecological Economics from the University of Leeds, and is currently a Ph.D. candidate at the Sustainability Research Institute (Leeds). He is examining how changes in consumption in rich nations might affect the ability of poor countries to develop in a sustainable manner. View his personal website. Christian has a MSc. in sustainable development and a background in civil engineering. He grew up in New Zealand with a strong awareness of the beauty of the natural environment and the great outdoors. Following several years traveling and working within engineering, he commenced a two-year master’s program in sustainable development, with a primary interest in ecological economics. His thesis investigated the need and justification for working time reductions in developed economies. His interests include the promotion of gardening and local food initiatives and the benefits of the bicycle as a means of transportation. He now works part-time as a course coordinator at Uppsala University, while continuing to study in his (abundance of) spare time. Eric is the author of Virgin Forest: Meditations on History, Ecology, and Culture (“infinitely wise and unflinching”—Bill McKibben), and the forthcoming The Other Road to Serfdom: Essays in Sustainable Democracy. An internationally published (and nationally best-selling) novelist, Eric has been teaching and lecturing about ecological and steady state economics since the 1980s. 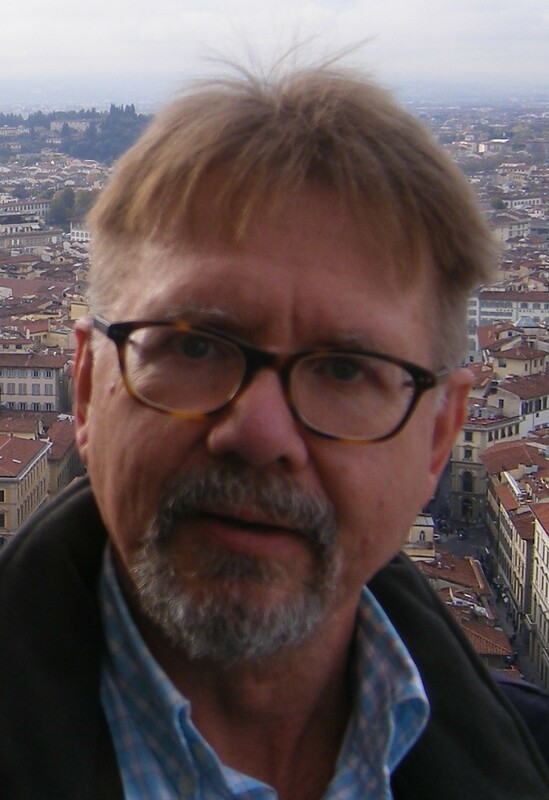 He holds a Ph.D. in political philosophy, and currently is a Visiting Professor of Historical and Political Studies for Empire State College, teaching in Prague and the U.S. An Affiliate of the Gund Institute of Ecological Economics at the University of Vermont, his talks and lecture appearances have run the gamut from local libraries, churches and community groups to international conferences in the U.S., Europe and South America. While Vermont is home, he also spends part of the year in Prague and St. Louis.